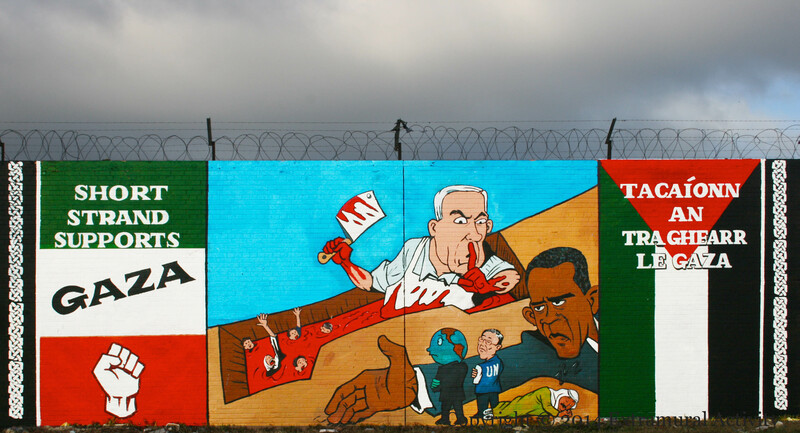 Carlos Latuff’s cartoon Do Not Disturb – War Criminals Working is reproduced as part of a new mural in the Short Strand – shown in full below. 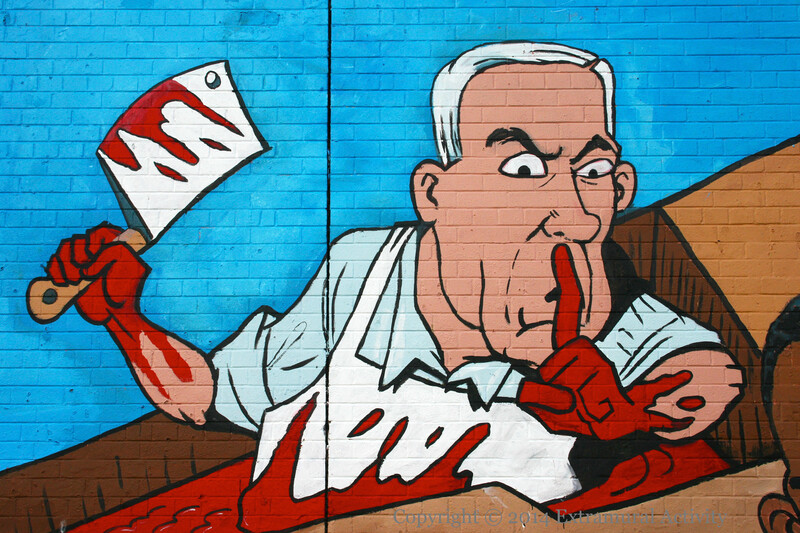 An aproned Benjamin Netanyahu sits in a Gaza trough, filled with the blood of people he butchers with a cleaver in his right hand while gesturing for secrecy with his left. The world watches with some concern, Ban Ki-Moon and the UN look away, and the Arab League is asleep. Barack Obama prevents any intervention with an outstretched arm.